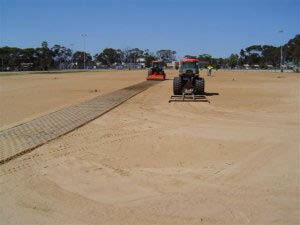 Leaders in commercial and sports field lawn and turf establishment, turf construction, turf maintenance, repair amd turn renovation in Western Australia. Comprising the latest turf grass renovation technology from around the world. Trusted by Councils, Private Schools, Country Shires, Estate Developers, Private Enterprise and Government Departments.